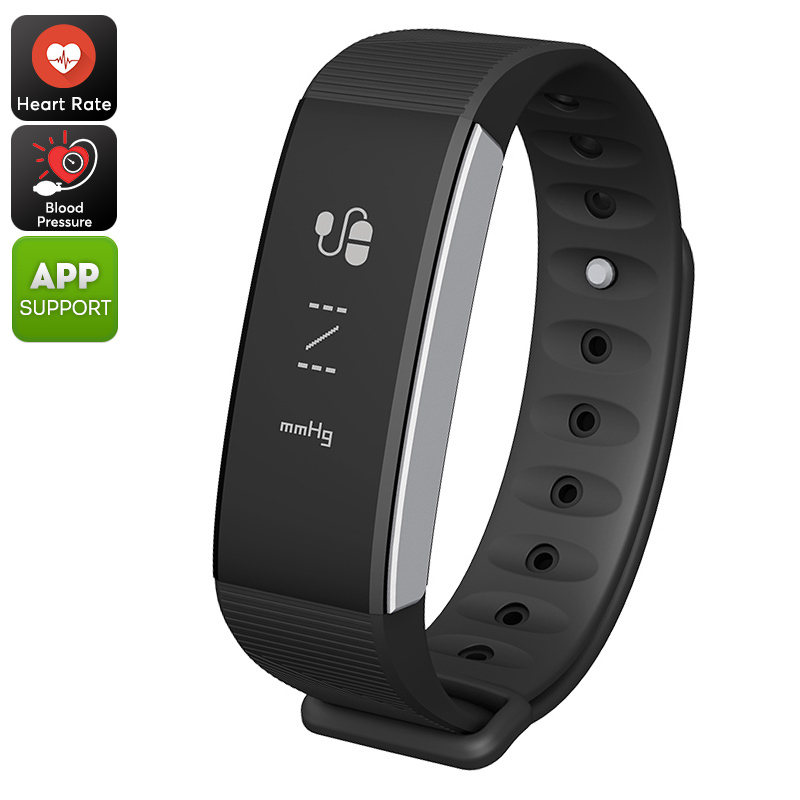 Successfully Added C9 Sports Tracker Bracelet - Heart Rate Monitor, Blood Pressure, Calorie Counter, Pedometer, Bluetooth 4.0, IP67 (Black) to your Shopping Cart. Keep track of your daily exercise levels with the C9 sports tracker bracelet. This Bluetooth sports watch features a highly accurate pedometer. With this feature, it constantly keeps you up to date on the number of steps you took throughout the day. Additionally, it will provide you with information on the distance you have covered and the calories burned. Thanks to this, you can be guaranteed that you’ll always meet your daily activity levels. With all this exercise information at hand, you’ll be able to adjust your daily routines and work towards a healthier future. Bluetooth 4.0 support lets you efficiently synchronize your sports tracker bracelet with your iOS or Android phone. Once done so, your gizmo will send out notifications whenever you receive an incoming call or message. Thanks to this, you will never miss out on an important message again. The fitness tracker itself has been crafted out of soft TPU material. This gives it a stylish look and makes it comfortable to wear at any occasion. It features an IP67 waterproof design so you’ll be able to use it no matter the weather condition. With a heart rate monitor in place, this fitness gadget lets you keep track of your heart rate throughout your upcoming workouts. This provides you with valuable information on which you can adjust the intensity of your exercise sessions. Additionally, it also comes with a medical-grade blood pressure detector, sleep monitor, and sedentary reminder. With all these smart health and fitness features in place, you will be able to reach your future fitness levels in up to no time. The C9 sports tracker bracelet comes with a 12 months warranty, brought to you by the leader in electronic devices as well as wholesale Bluetooth sport watches..